This first design in the A Bowl Full of Merries series is finally being released as a stand-alone chart! Threads used: Classic Colorworks in German Chocolate, Cinnamon Toast, Khaki Mocha, Weeping Willow, Cocoa Bean, and Whatley Woodlands. Suggested trim: Vintage chenille (small) by Lady Dot Creates. 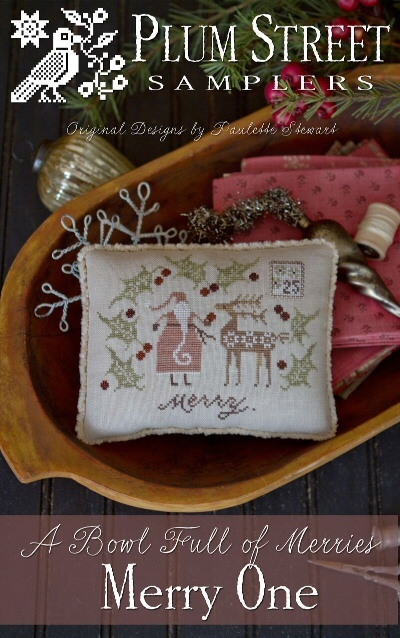 The stitches used in this design are cross stitch over two threads, and some back-stitching.